A Winnipeg restaurant chain under fire for allegations of widespread workplace harassment has announced on social media that it has fired its vice-president of operations. A Winnipeg restaurant chain under fire for allegations of widespread workplace harassment says it has fired its vice-president of operations. Stella's Cafe and Bakery posted the announcement on its social media sites late Wednesday night. "The information uncovered through the review process supports the decision to release Grant Anderson from employment at Stella's Cafe and Bakery," the post reads. 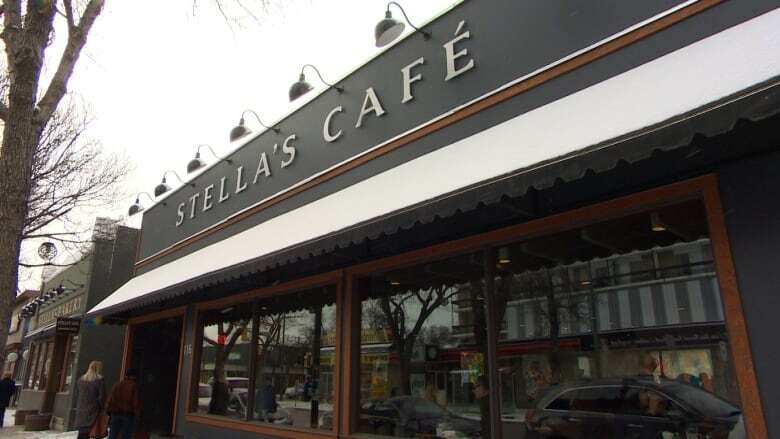 Two executives from Stella's Cafe were placed on an indefinite leave of absence in November. Grant Anderson, vice-president of operations, and Brad Burrows, regional manager, were both removed from their positions to ensure the integrity of the independent investigation, the company's owners said at the time. Stella's also brought in a human resources company called People First, to review the company's policies and procedures around workplace safety. More than 500 people are employed with the company. In Wednesday's post on Facebook and Instagram, titled, "an update from Tore and Lehla" the owners say the final report from the human resources company is pending, and not yet complete. "We are continuing to implement permanent, positive change that we are confident will ensure Stella's is a respectful, safe, supportive, and healthy workplace." Stella's came under fire after an Instagram account called "Not My Stella's" was created, posting stories from people who said they were past and present employees of the chain. Many of the stories detail allegations of abuse of staff, including sexual harassment, discrimination and bullying, as well as a culture where employees were discouraged from coming forward. Anderson's dismissal was one of the demands issued by the creators of the Instagram account at a news conference last month.